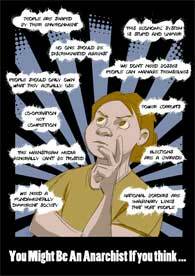 Choice is a political issue. 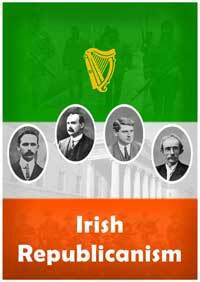 I emigrated to the UK in the 80’s and when I returned to Dublin it was the X-case which politicised me. It was incomprehensible to me as a 23 year old that this young 14 year old girl who had been raped was not allowed to leave the country. 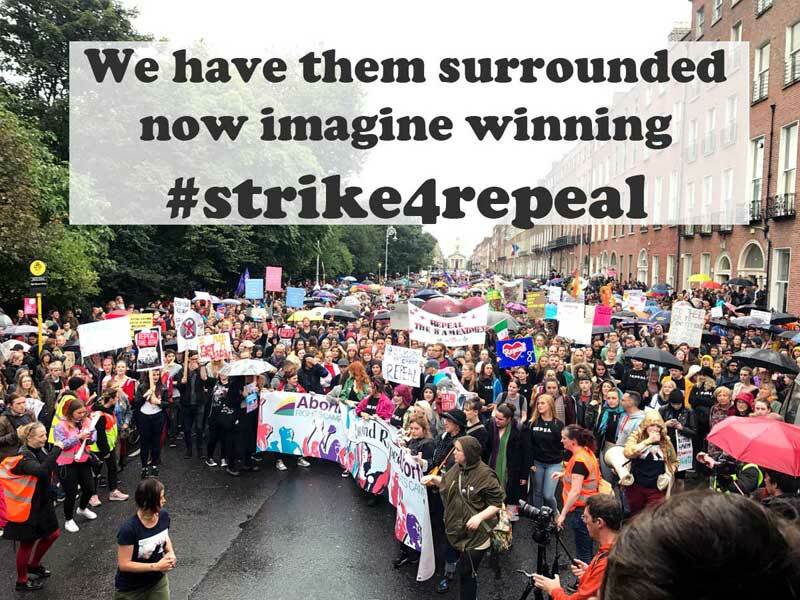 I was not the only one who felt strongly about this, and there were massive marches asking for the young woman to be let go to the UK to have an abortion. 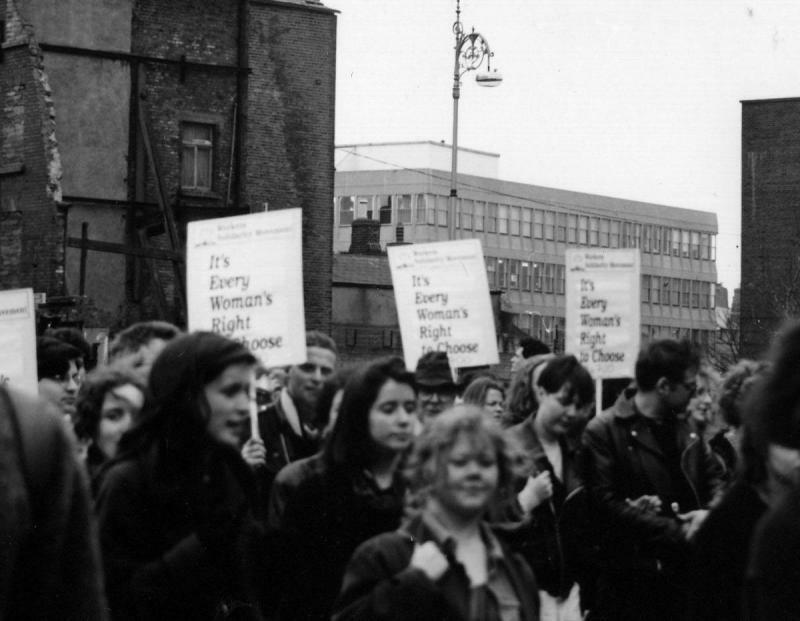 That was 1992 [in the picture I am there holding the placard on the left]. I felt like I had to leave this place to come back and see it with new eyes, and see how dysfunctional it truly was, and remains. 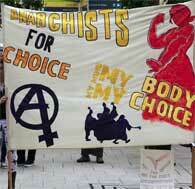 Saturday saw the annual anti-choice parade and yet again RTE reported a grossly inflated figure of the number marching. They headlined it as ‘tens of thousands’ and in the body of the article quoted the organisers claiming 70,000 without further comment, appearing to endorse it. As we are going to show below at the very least that’s a tenfold exaggeration, in fact by our count about 5300 people took part. And while that estimate might be out by 10 or even 20% its physically impossible for it to be out by up to 1500% as that would require ten people too fit into a one meter square space. We use the same counting methodologies (see below) for almost every demonstration that takes place in Dublin, from huge anti water charges protests to smaller but still significant ones on a huge range of issues. We do these sorts of counts more than a dozen times a year. We don’t always publicise the numbers we reach - organisers always tend to overestimate somewhat, most often guessing a figure that is twice what actually attended. 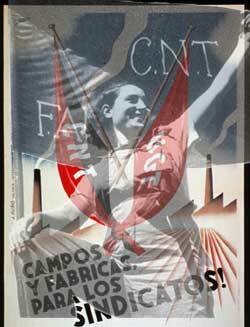 Generally we agree with what the demands of a demonstration are so we don’t want to appear to undermine it by publicly providing real numbers. But we do count, we do use those counts internally in the WSM and we often communicate them directly to organisers. It is all but impossible, both in theory and in practice, to legally obtain an abortion on the island of Ireland, both north and south of the imaginary border that divides this island. 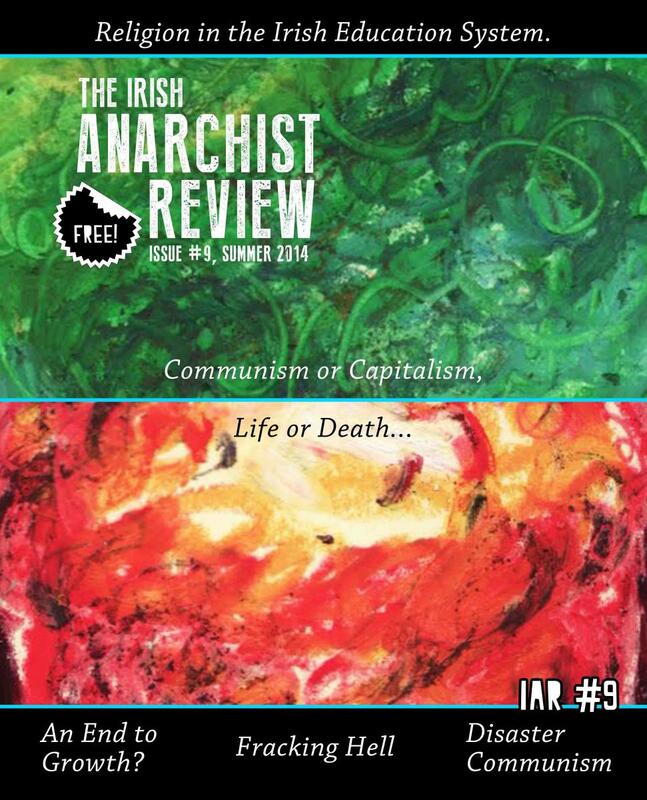 It is completely impossible to safely and legally obtain an abortion anywhere in Ireland; the legal framework in the south specifically requires that in order to obtain an abortion without being criminalised for so doing, the woman who needs it must be ill enough to die; thus it is rendered impossible for her to be safe in access to legal abortion. 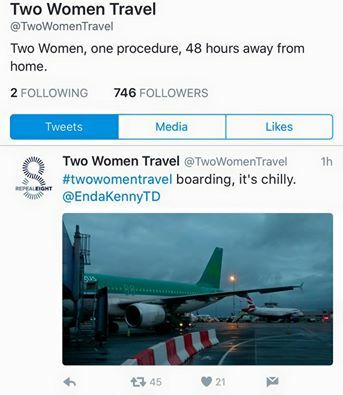 Feminists in Ireland are upping their game against the 8th amendment and indeed against the Irish state. 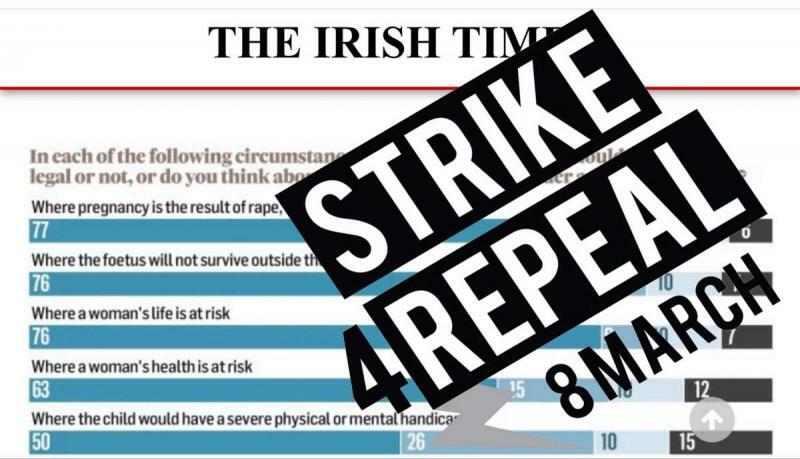 The newly formed group, Strike for Repeal, are preparing to ‘strike’ if a date is not set for a referendum to repeal he 8th Amendment by International Women’s day on March 8th. 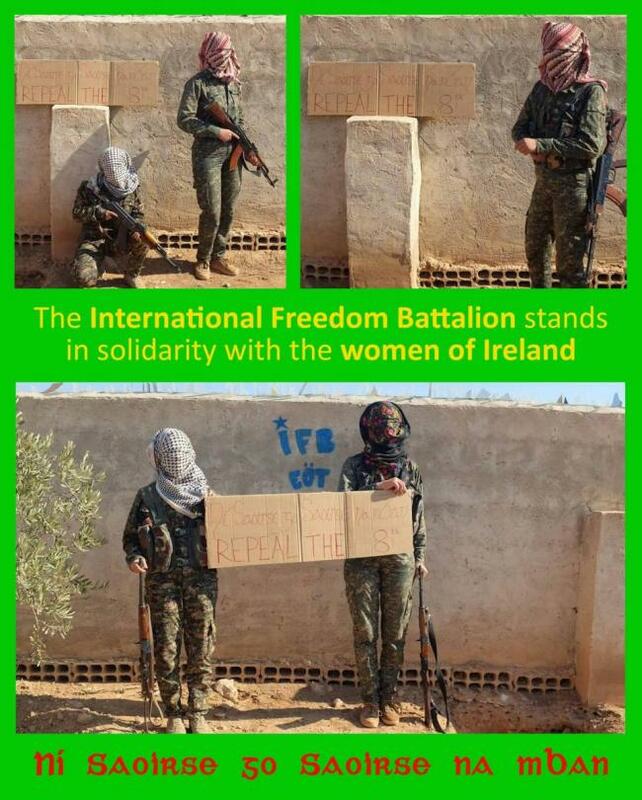 Last week we were blown away by the amazing level of solidarity that was offered to those of us who are working tremendously hard to introduce free, safe, legal abortion in Ireland when a photo emerged on twitter of two members of the International Freedom Battalion in Rojava next to a sign that said “Ní saoirse go saoirse na mban” (Until the women are free none are free) and “Repeal the 8th”. The image went viral and the feedback was overwhelmingly positive with many people tying in that no one struggle exists in isolation from the other, reinforcing the importance of international solidarity in trying to create a new world. 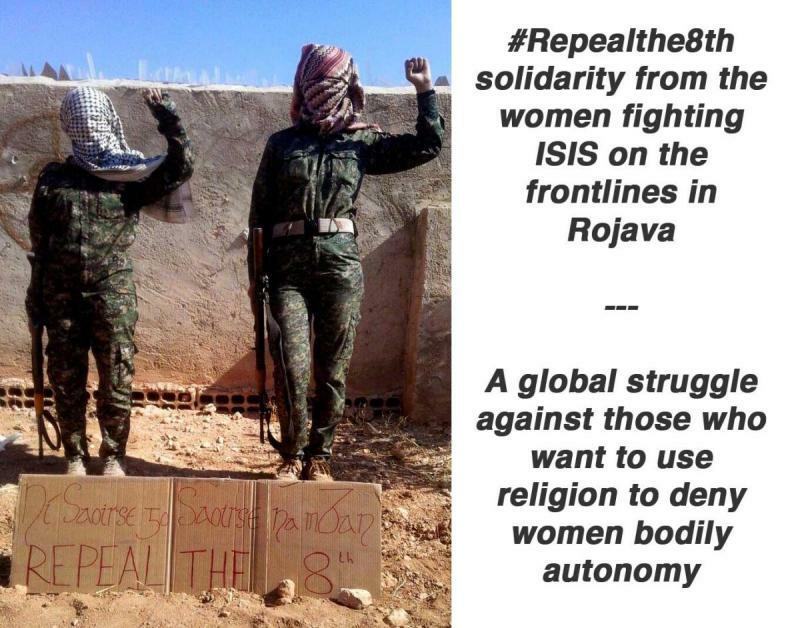 This image is fresh from Rojava, posted by @bobcrowbrigade to their twitter stream with the caption "International Freedom Battalion in solidarity with our sisters in Ireland fighting to #repealthe8th"